For over 30 years, the partners of The Institute of Brain and Spine Surgery in Torrance and San Pedro, California, have been South Bay's leading provider of comprehensive, state-of-the-art services and procedures to patients in need of surgical and non-surgical treatment of the brain and spine. 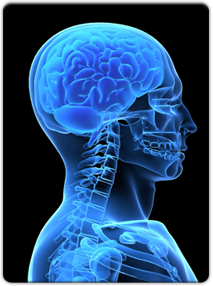 The Institute has a longstanding tradition of providing excellence in neurosurgery. Three partners - Drs. Melvin Snyder, Nosrat A. Nabavi and David F. Morgan - have worked together for over 25 years with a total of 85 years of experience, including in excess of 12,000 surgical cases of the brain and spine. Recently Dr. Bob Shafa, on the Neurosurgical faculty at UCLA for seven years, joined the partnership. The practice includes both elective and emergency care. We have a 30-year tradition of commitment to the emergency departments at all three hospitals in the South Bay. We are the experts in brain and spine surgery 24 hours a day seven days a week. Neurosurgery is a specialty of surgery for the treatment of both brain and spine disorders. Neurosurgeons train for seven years after medical school in residency, educated in both brain and spine problems. Other types of spine surgeons have only a single year of spine fellowship after their non-neurosurgical residencies. Our training provides both the operative and non-operative management of patients and includes the prevention, diagnosis, and treatment of surgical disorders of the neurological system. We emphasize initial conservative treatment in those appropriate conditions. This is particularly true of spinal disorders but a conservative approach to many brain maladies is equally appropriate. However, if conservative measures fail, we are ready with state-of-the-art surgery.